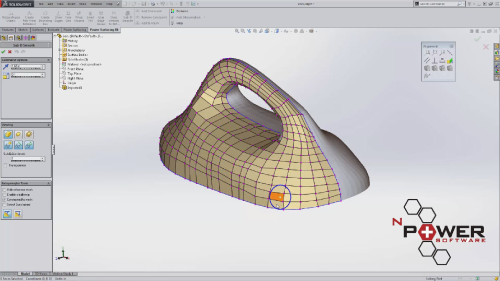 The easy way to reverse engineer free form organic shapes in SOLIDWORKS. Power Surfacing RE opens the doors to greater creativity and design flexibility. Dealing with organic / freeform shapes has never been easier. You are no longer limited to conventional design shapes. Power Surfacing RE allows you to reverse engineer human forms, animal shapes, car bodies, and other freeform representations.